A decade ago, voice traffic consumed more than 90% of traffic in mobile communications networks (Source: Ericsson Mobility Report 2012). In 2016, our mobile communications networks will support 500x the network traffic they did a decade ago. However, we are not simply talking more. In fact, today the human voice accounts for less than 0.5% of total network traffic and will account for less than 0.05% of total traffic by 2021 (Source: Ericsson Mobility Report 2016). So what is the driving cause for the rapid increase in network traffic? It should come as no surprise that modern applications like streaming 1080p video, web browsing, and social networking are consuming massive amounts of data on today’s mobile networks. Knowing this, there is no question that the network capacity of mobile networks has grown exponentially to keep up with the massive amounts of data. Although the demand for greater capacity has influenced the way that mobile networks are designed, it has also had a dramatic effect on the physical layer of today’s wireless standards. Just take a look at how LTE will evolve to 5G – today’s LTE-Advanced systems can deliver up to 100 Mbps in low-mobility, and 5G is expected to greatly exceed that. 5G is aiming to provide peak capacity exceeding 10 Gbps and with a network that can deliver 10,000x more total capacity than LTE. 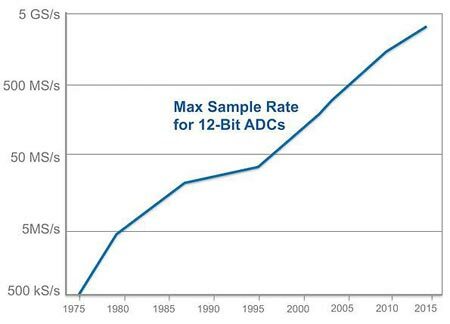 Figure 1 • Maximum sample rate for 12-bit ADCs has grown exponentially since 1975. Although the exponential improvements in throughput for mobile networks have been stark, we observe similar evolutions in a wide range of wireless technologies. Take 802.11 or Wi-Fi for example. In 2003, an 802.11g connection could deliver 54 Mbps peak data throughput. By 2007, 802.11n had increased this by almost 10x to 600 mbps. And in 2013, 802.11ac could theoretically deliver nearly 7 Gbps to a single user (although we have not yet seen this practically). In the future, standards such as 802.11ad, 802.11ax, and 802.11ay will even further increase the data throughput. The demands for more data have had a substantial effect on the evolution of the entire value chain of the wireless industry – from the DACs and ADCs to signal processing technology to the test equipment required to test mobile devices. So what do new wireless technologies require? We find the answer in Shannon’s theorem – which was developed by mathematician and engineer Claude Shannon in the 1940s. Equation 1 • Classical Shannon-Hartley Theorem Model of Channel Throughput. According to Shannon’s theorem, channel capacity is a linear function of bandwidth. It is the reason why LTE Advanced Pro will allow aggregation up to 32 carriers, why 5G will use up to 2 GHz of bandwidth, and why a future 802.11ay standard will use up to 4 GHz. With the massive expansion in bandwidth, three big trends in the wireless industry have emerged to tackle the wireless throughput challenge. First is the advancement in ADC technology, leading to higher sample rates and driving wider bandwidth in RF instruments. Second is the growing computational power of processors to support the increasing amount of data and advanced signal processing in real-time. And third is the continuous innovation in the next generation of RF instrumentation to support the advanced RF test techniques and evolving wireless standards. Two decades ago, even the most advanced RF signal analyzers or wireless test sets featured an instantaneous bandwidth of about 20 MHz – and it took another decade to get to 40 MHz. It was not until the advent of draft 802.11ac standard in 2012 that RF signal analyzers featured a bandwidth of 200 MHz. And now, 500 MHz has become a standard option on high-end RF signal analyzers. One of the biggest contributing factors in being able to match the requirements of evolving wireless standards is the advancements in ADC technology. In 1975, a 12-bit ADC with 500 kSamples/s was considered state of the art. Today, the fastest sampling 12-bit ADCs hit rates greater than 2 Gsps, a feat that is powering some of the widest-bandwidth signal analyzers in the industry. Although advancements in ADC technology are critical to meet the bandwidth requirements of next-generation RF instruments, wideband instruments introduce additional challenges that test vendors must solve. Wider RF bandwidth implies higher throughput data. With the explosion in bandwidth, both the acquisition of RF data and analysis of the IF samples, after digitization, demand the need for advanced signal processing. This need is driving a greater use of FPGA-based signal processing as the heart of the RF instruments. The software or signal processing capability powering the next generation of test instruments must be able to inherently benefit from the parallelism of FPGAs. Moore’s Law is enabling an ever-increasing progression of the modern computational power, and figure 2 demonstrates the progression of FPGA capabilities over the last 15 years. 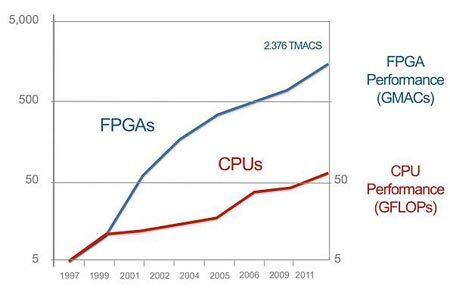 Figure 2 • The performance increases of FPGAs and CPUs is analogous to Moore’s law. It is important to note that the evolution of the wireless communications industry is only one factor driving instruments to support wider signal bandwidths. Technologies such as digital predistortion, carrier aggregation, and new radar signals also require wider signal bandwidth. For example, when testing an RF power amplifier (PA) under DPD conditions, more sophisticated DPD models can require that the instrument generate a signal that consumes 3x to 5x the bandwidth of the communication standard. Thus, when applying DPD to a 160 MHz 802.11ac/ax device, the RF signal generator and analyzer must have at least 800 MHz of bandwidth. Testing products under carrier aggregation conditions also requires substantially wider bandwidth instruments. With technologies like LTE-Advanced Pro, the standard allows for carriers that can be spaced hundreds of MHz apart. Although it is possible to generate advanced multi-carrier signals using multiple signal generators, this approach is cumbersome and expensive. As a result, a more cost-effective solution is to simply combine two multi-carrier signals in software and generate or analyze with a single RF signal generator or analyzer. Although using a single instrument requires higher analog performance, it is substantially more cost-effective. Figure 3 • NI’s Reference Solution for Digital Predistortion. A third example of wideband measurement applications is radar. Both in automotive and defense applications, the requirement for better resolution and longer range often results in the use of wider bandwidth waveforms. Today’s modern radar signals often consume up to 1 GHz of total bandwidth - and require wideband RF signal generators and analyzers. While advancements in ADCs are leading to wider analog bandwidth, high performance signal processing and instrument calibration are vital to achieve ultra-wide digital bandwidth. There is also the expectation from Moore’s Law that the test and measurement industry can deliver the next generation of RF instruments that meets both of these needs at a smaller size and lower price point. 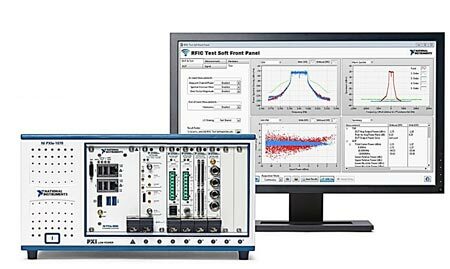 This makes the quest to design wideband RF instruments one of the most significant challenges in the test and measurement industry. To tackle this challenge, NI built upon advancements in converters and processors to design this next generation of RF instruments. In 2012, NI introduced the vector signal transceiver (VST) which combined a wideband signal generator, wideband signal analyzer, and user-programmable FPGA into a single instrument. At the time, its 80 MHz of bandwidth was ground-breaking. However, demands of applications such as 802.11ac – which feature up to 160 MHz waveforms - required more bandwidth and the VST evolved accordingly to provide 200 MHz of instantaneous bandwidth. 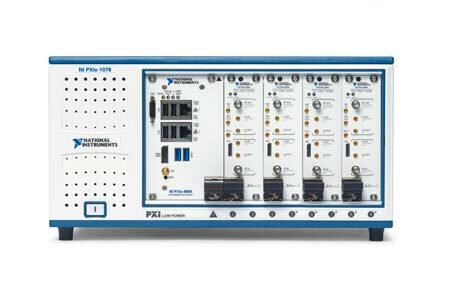 Figure • 4.NI PXIe-5840 World’s First 1 GHz Vector Signal Transceiver. 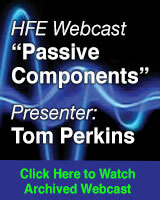 Now, changing bandwidth requirements are driving instrument bandwidth even further to a point where an instantaneous RF bandwidth of 1 GHz is extremely critical to meet the increasing bandwidth requirements of 802.11ac or LTE-Advanced, with carrier aggregation and DPD-enabled PAs/FEMs that require oversampling of 5-10 times the signal bandwidth. 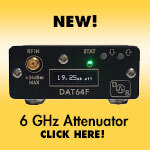 Additionally, an RF instrument should not only be able to support ultra-wideband instantaneous bandwidth, but also be able to further integrate multiple RF instruments into one, supporting applications all the way from DC to RF without compromising upon the RF performance or soaring up the prices. As a result, NI recently introduced a new, second generation VST. 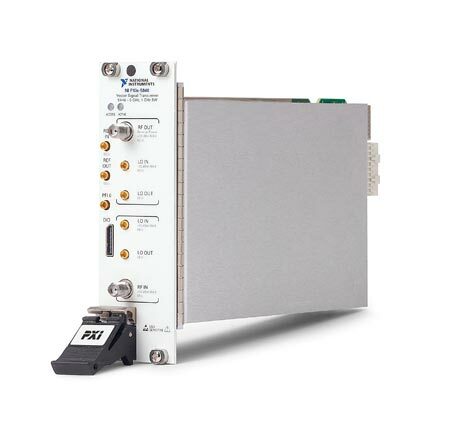 The NI PXIe-5840 features an RF signal generator and analyzer, each with 1 GHz of bandwidth, and a larger user-programmable Vertex7 690T FPGA to process the entire instrument’s bandwidth in real time. 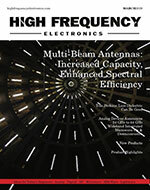 With 1 GHz of RF bandwidth, NI’s second generation VST meets the needs of developing wireless standards such as 802.11ax and 5G, and further meets the tight synchronization requirements of Envelope Tracking techniques for PAs/FEMs using advanced triggering and synchronization techniques such as the NI-patented T-Clk technology. Figure 5 • The Compact VSTs are easily scalable for MIMO configurations. In addition to offering at least five times improvement over the instantaneous bandwidth of the first generation VST, NI’s new VST features a high-speed serial interface, a wider frequency range, higher output power, and better tuning time – all while decreasing the size to 2 PXIe slots. Given its small footprint, the VST can be seamlessly scaled to an 8x8 MIMO configuration in a single 18-slot chassis, enabling complete transceiver testing with multiple antennas. Similar to the first generation VST, the second generation VST’s FPGA is also user-programmable and can be customized to suit different application needs. This FPGA can be used to implement a wide range of real-time signal processing algorithms, and typical applications include radar test, DPD algorithm implementations, 5G prototyping and real-time spectrum analysis. As wireless standards continue to evolve from LTE to 5G, the test and measurement industry needs a next generation RF instrument that offers wideband instantaneous bandwidth to fulfill the challenging demands of increasing wireless throughput. However, bandwidth alone is not the solution. Next generation RF test instruments also require high linearity ADCs with excellent spurious free dynamic range and wide-band internal calibration mechanisms for best-in-class measurement accuracy. In addition, wider bandwidth introduces the need for more complex signal processing. That is why one of the most important innovations of RF test equipment going forward is the ability of the instrument to execute signal processing. And of course, signal processing is more than a hardware requirement – it’s also a software requirement. As is the case with the VST, the future of RF test and measurement equipment requires that the instrument can be defined – and even designed – by software. This presents an exciting challenge to design the next generation RF test instrument that meets the needs of today, as well as tomorrow. Shivansh Chaudhary is a Product Engineer for RF and Communications at National Instruments. His subjects of expertise include digital signal processing and digital communications systems.